Midtown’s bike scene is surging. 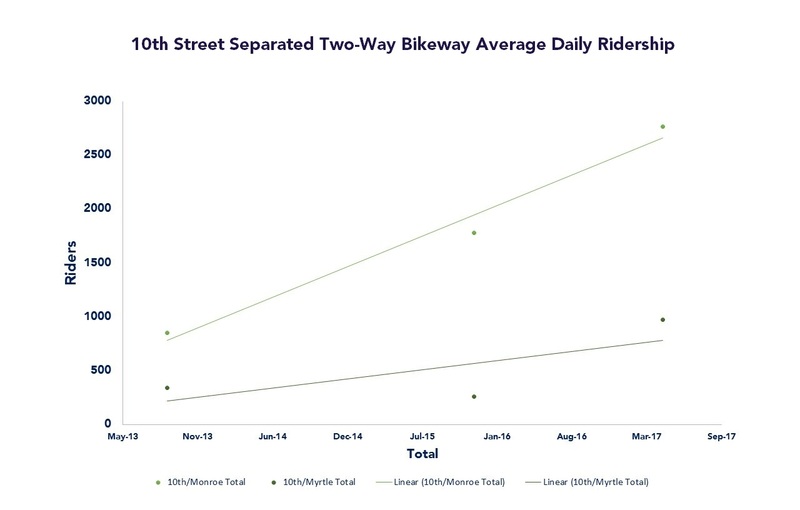 With the help of 24-hour video and in-ground counters, Midtown Alliance recently tracked activity in Midtown’s bike lanes, and the results show significant growth in ridership across the board. Click below to enlarge graphs. 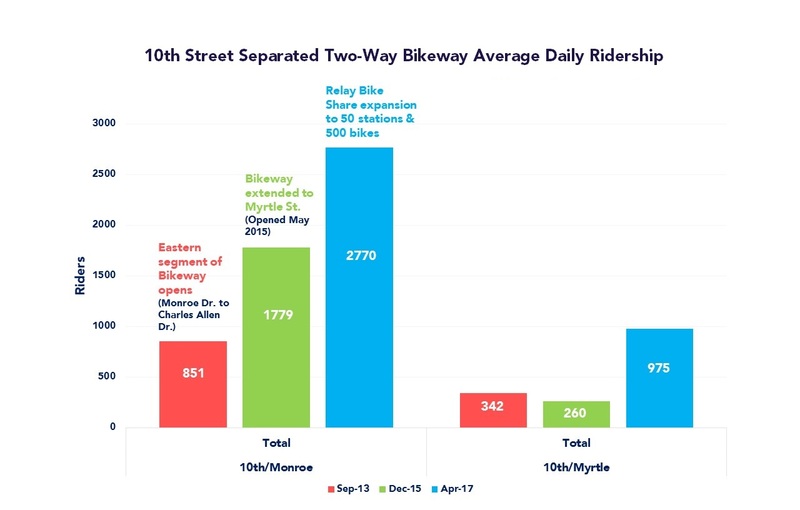 Between September 2013 and April 2017, ridership increased by 225% on the 10th Street separated two-way bikeway, a barrier-separated, two-way bike lane connecting the Midtown core to the Atlanta BeltLine Eastside Trail, from 851 daily cyclists to 2,770 at the 10th and Monroe location. Additionally, the number of bike trips increased in dedicated bike lanes on 5th Street through Technology Square (+95%) and Peachtree Street (+30%) since the start of 2017. Pair those trends with the growing demand expressed by Midtown’s community for projects that make biking safer. 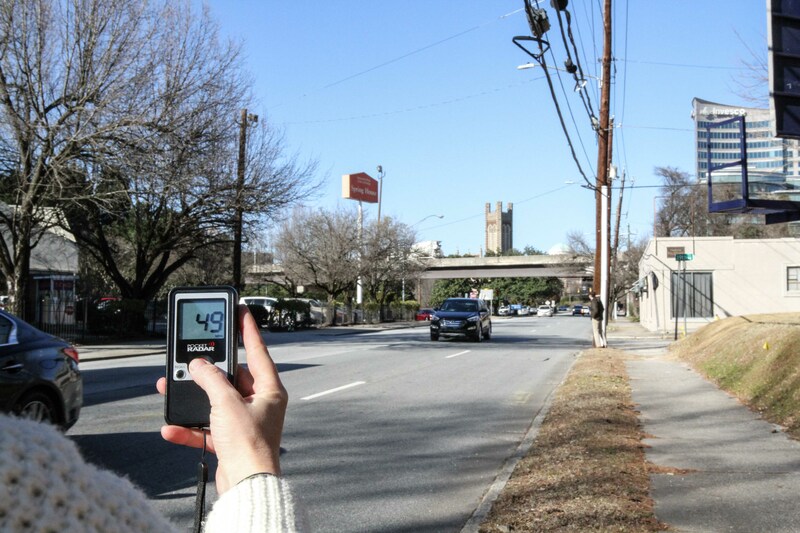 A top emerging theme from community outreach efforts for the Midtown Transportation Plan was a desire to feel safer on the streets while biking and walking. 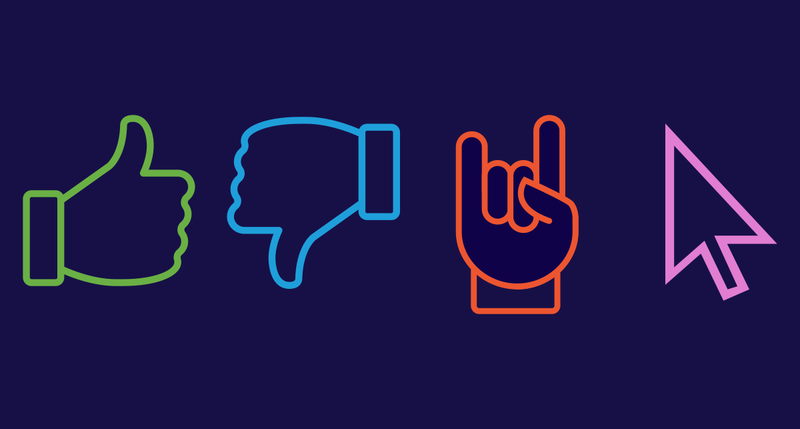 Responses to the 2016 Midtown Community Survey confirmed that need, with 77% of respondents stating that bike-related projects should be a high priority for future transportation enhancements in Midtown. Currently, there are 5 miles of existing bike facilities throughout Midtown. Future projects—including Juniper Street and Piedmont Avenue—would add an additional 8.75 miles, creating a more complete network. View a map of Midtown’s existing bicycle routes here. The uptick in bike demand also reinforces the City of Atlanta’s commitment to Relay Bike Share, which launched in 2016. Relay recently expanded their operations to a total of 500 bikes at more than 50 stations citywide, making intown trips to the grocery store, park, dining, and other destinations even easier for residents and visitors. Midtown alone has 14 Relay stations. View our map here and visit Relay’s website for instructions and pricing. 1 Source: Federal Highway Administration, “National Household Driving Trends,” 2001-2009.